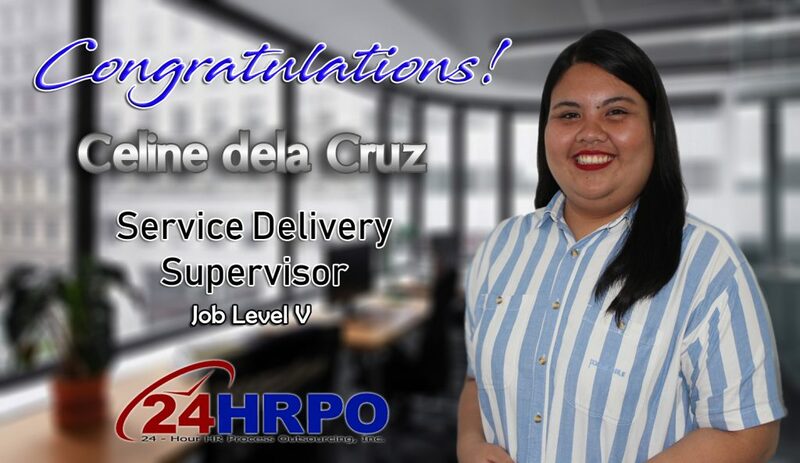 24HRPO is delighted to announce the promotion of Celine dela Cruz to Service Delivery Supervisor. Celine joined 24HRPO in 2014 and showed a lot of potential since day one. Prior to her current role, she was assigned to our biopharma account as a VMS coordinator. She is currently leading a team of 12 composed of sourcers and recruiters working on aerospace, manufacturing, healthcare and government contracts. Let’s all congratulate Celine on her promotion! Congratulations to our new Lead Trainer, Jean Samson!